Since we are finishing out The Metropolitan Museum of Art I should tell you that unless you are going to spend your whole vacation here; there are two recommended ways to see the museum, either take advantage of the museum’s highlights tour which is several times throughout the day or pick up a map in the entry hall and concentrate on the areas of interest to you. Today we begin with an era in which opulence reigned supreme. 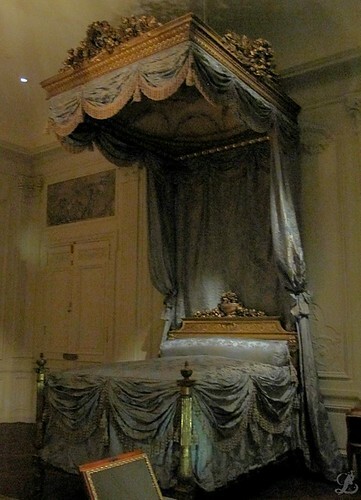 This bed in particular reminds me of the movie Dangerous Liaisons, I personally would be thrilled to wake up in something like this every morning. 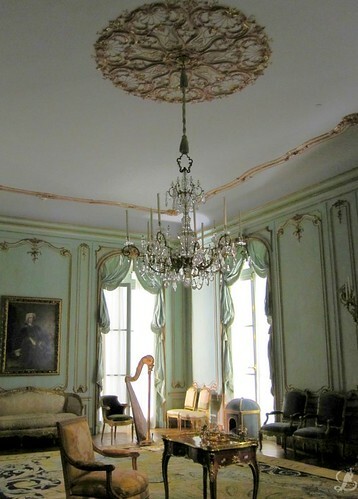 While this day room is absolutely gorgeous; what struck me as most amusing is the dog house, if you look in the corner between the two pairs of chairs you will see a small pet palace for the spoiled dogs of the time. “I love gooooold!”, yes, the memorable words of Austin Power’s Gold Member were what popped into my head when I peered into this room. I couldn’t help but giggle at the thought and wonder if anyone else had ever had the same thought while looking into this exhibit. 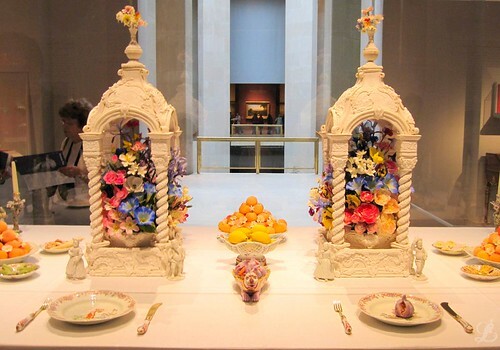 You have to adore the eloquence of this table setting, from the gold silverware and maid and cherub salt and pepper shakers to the small purple dragon staring back at you from the center. Although it is said to be a rumor and that she never really uttered the words, I could not help but think, “Let them eat cake.”. 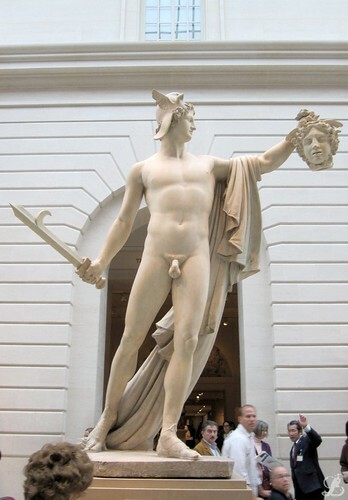 As I crossed through the Greek and Roman halls I passed this statue of Perseus with the head of Medusa. This has always been one of my favorite pieces of mythological literature, seeing it through the eyes of the people whom the story belonged to made the imagery that much more vivid. 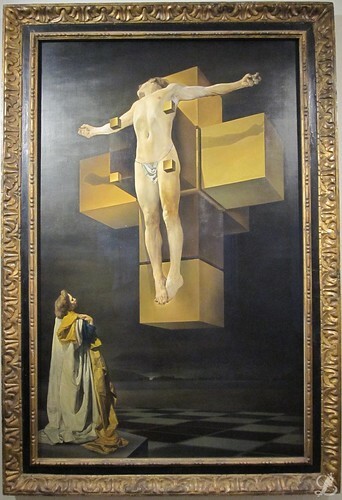 Salvador Dali is one of my favorite artists, I came across this painting crossing from one area to the next and had never seen one of his most renowned works but rather had only seen prints; to suddenly be standing in front of it and realize that the piece is actually huge and even the woman in the corner was bigger than me, was simply breath-taking. 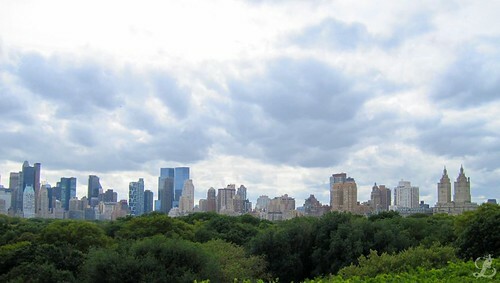 Now we have arrived at the Rooftop Gardens, it is a peaceful place above the hustle and bustle of the city where there are several views of the skyline above the grandeur of Central Park. 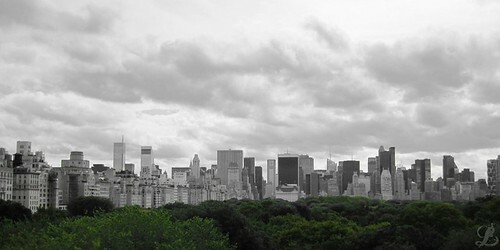 The sight of all the tree tops between you and the skyline truly gives you a sense of how big the park is. 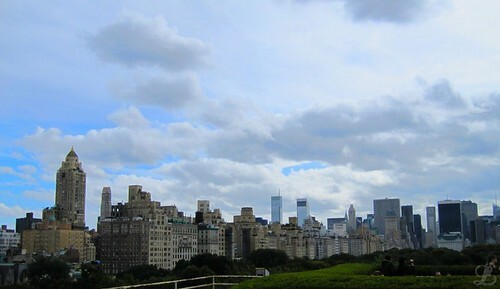 It was a wonderful place to stand and enjoy the peace of a city that is known for its constant movement. I hope that you have enjoyed our foray into the museum and that someday you get to experience all of its wonders and treasures for yourself. This entry was posted on September 24, 2011 by LahainaLaura. It was filed under NYC, Simply Laura .